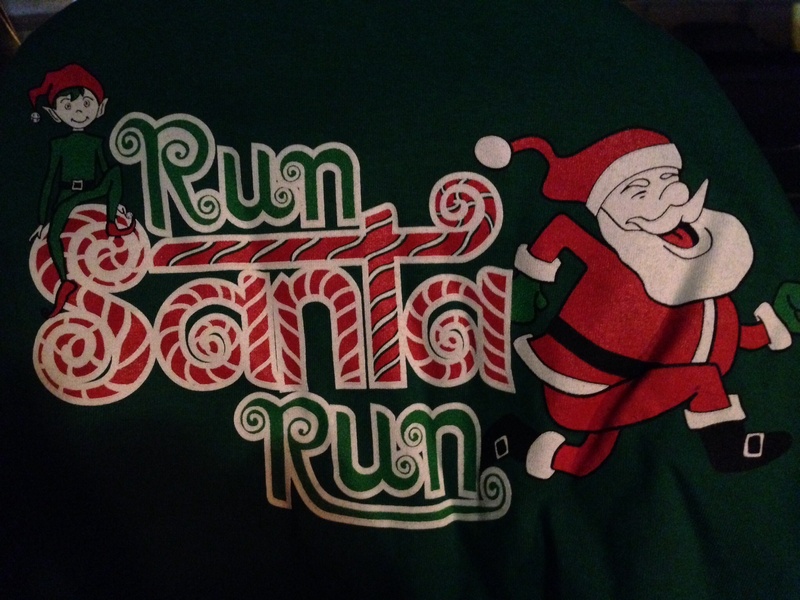 Run Santa Run 5K was a really fun race. It was the second race that Chris and I ran together, I’m really liking the trend of us running together. Chris and I ready to run! The race started right near the capitol, we still had to register when we got there. 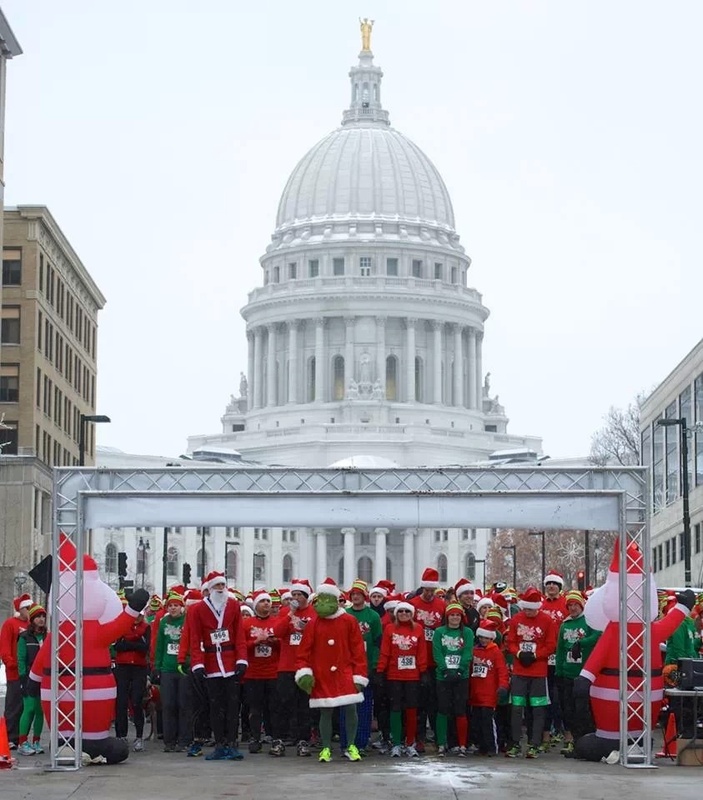 I had missed registering when the race was only $20 a person, so I had emailed the race director and they would let us register day of for that price (I didn’t want to spend $45 on an un-timed 5K) So we got there, it was cold and snowy, but still a nice day. 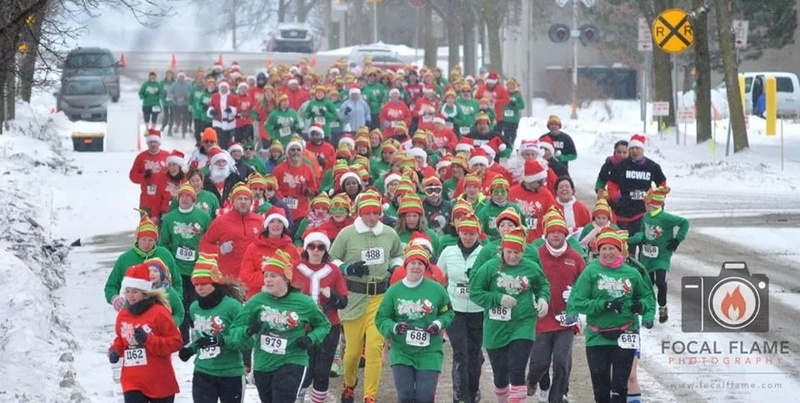 We both registered as elf’s, so we got a green long sleeved tee and elf hats to wear, we both wore the hats for the race. The course wasn’t too bad, it was snow covered in spots, a little like running on sand but also trying not to fall on my face! 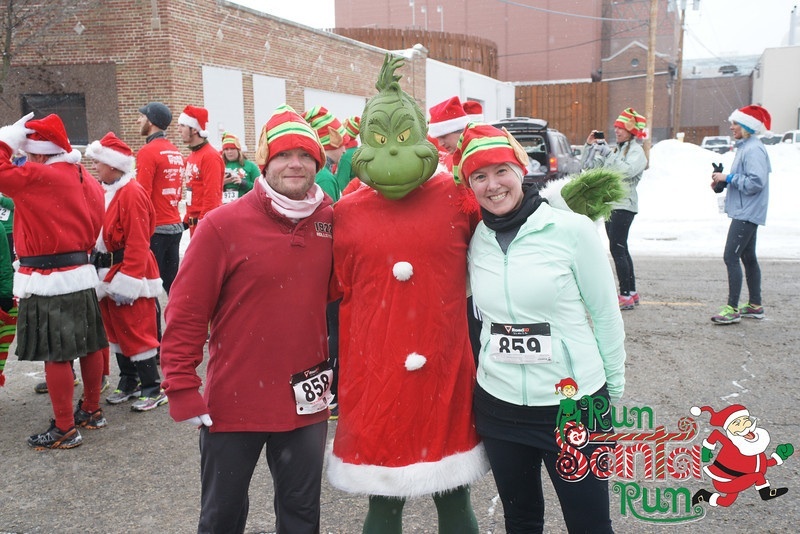 At the end of the 5K, the Grinch was there so we got our picture with him before heading inside to get our free post-race beer, we hung out for a bit, listened to a band and then started the walk back to the car, it was cold out we were sweaty so it was time to head over to my sisters to shower and relax. Henry was excited that Auntie Jeni was coming over, but because of Henry and his love for Angry Birds, he got Chris addicted to Angry Birds Go! 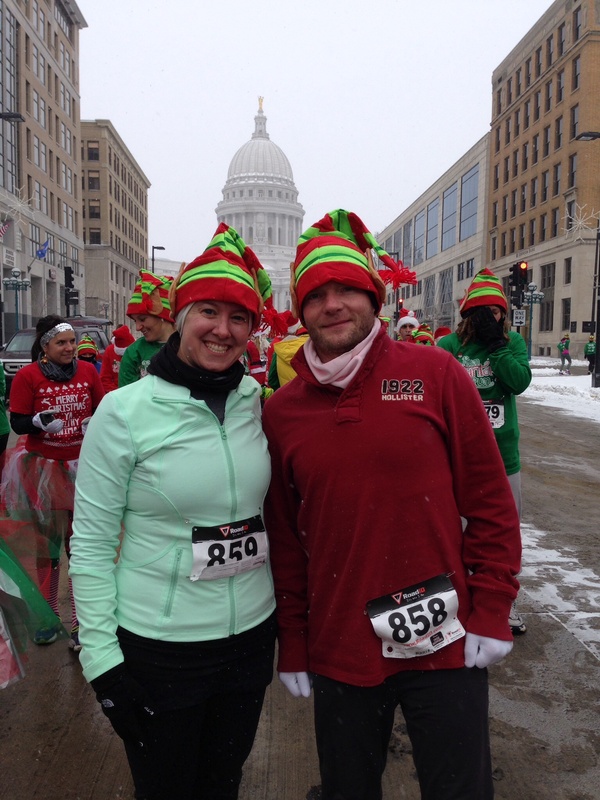 This was a fun race, and even with the snow and it not being a timed race we had a great time. The course was ok, not one of my favorite Madison courses, but it kept us off busy areas and a portion of it was on a bike path, I always like when the courses have variety, makes it fun, but also hard to pass people. 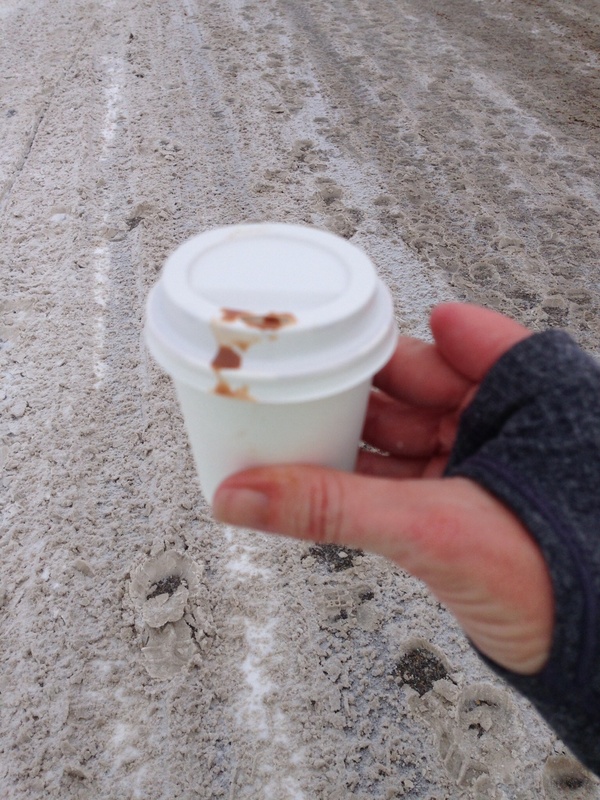 I think my favorite part was the mini hot chocolate, it was a bit to hot to drink so I sipped some of it, then threw it out, if we had been walking it would have been perfect. 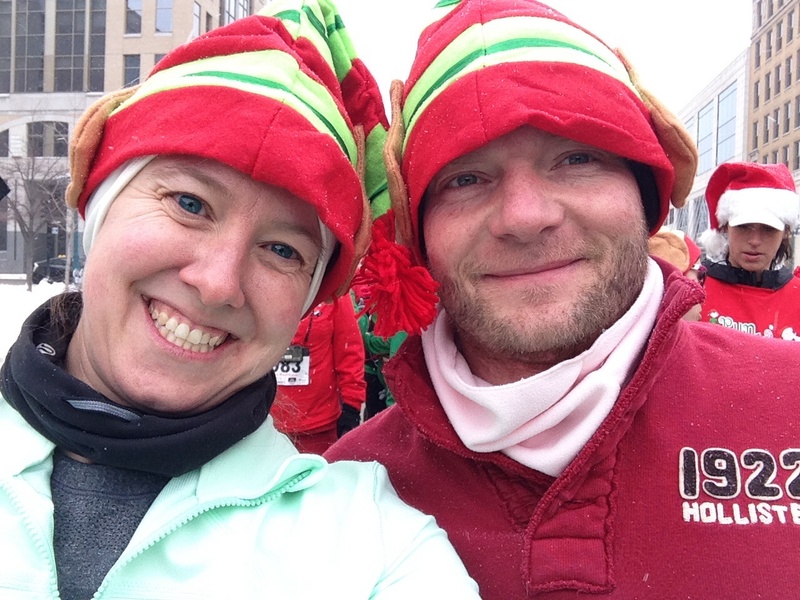 I feel truly lucky that I have a great running partner, in 2014 we have lots of races planned and I know we will be doing lots of running together.